In a large bowl beat or whisk the egg. Add the mashed potatoes, parmesan cheese, and 3 tablespoons all-purpose flour; mix until thoroughly combined. Place the remaining flour in a shallow dish. Divide the potato mixture into six equal portions and form 6 patties. Roll the patties in the flour to coat. 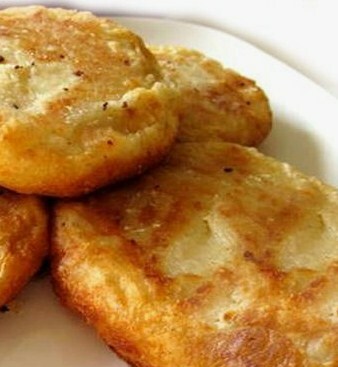 In a large skillet over medium high heat, using cooking oil, cook patties until lightly browned on both sides. Salt and pepper to taste; serve hot.